Min ballongtjej, lämplig såhär till Walborg, deltar i följande utmaningar: Sketch Saturday, Suzy Bee (Make it female), Deep Ocean (Spots/Stripes), Simon Says Wednesday (Let's make it girlie), Creative Moments (ATG), Crafty Addicts (ATG), Inky Chicks (It's Birthday time) och Passion for Promarker (Make it digital - digital image colored with Promarkers and Distress Ink). Darling design! 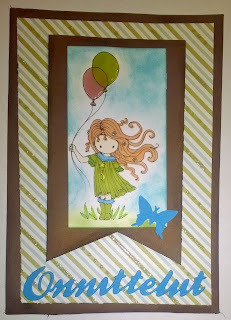 Thanks so much for playing Simon Says Stamp Wednesday “Make It Girlie” Challenge! Aivan ihanat värit ja herttainen kuva! A lovely image and beautiful design. Thank you for joining us at Creative Moments. Lovely and sweet looking card. Love the wind in the hair look. Thanks for joining my digital challenge over at Passion for Promarkers this week. 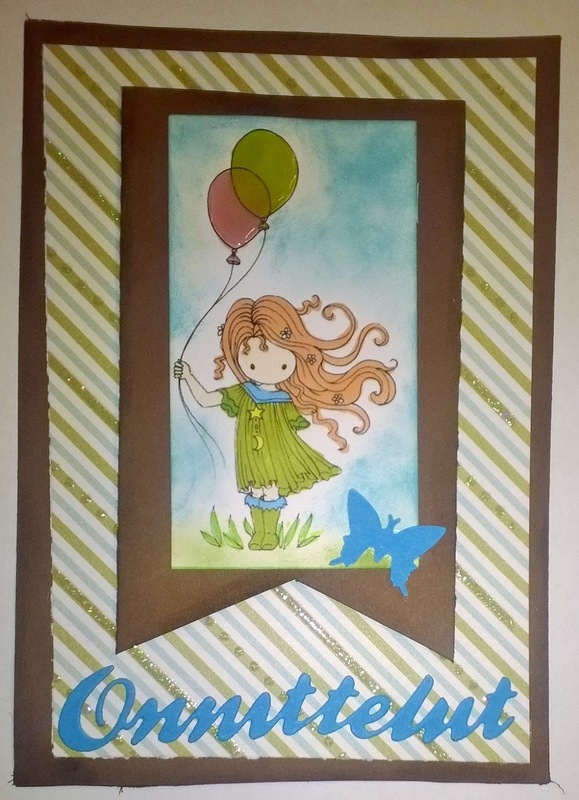 So gorgeous Jessi.Really sweet image and I love your colouring and fab striped paper.